Roller blinds are considered by many in interior design circles to be one of the most cost effective and simple ways to update the look of a home. Today they are available in all manner of different styles, sizes, and materials and hence represent a considerable choice to those redecorating. Most roller blinds are manufactured using fabric although this fabric is treated in different ways depending on the functionality of the blind, for example, those to be used in bathrooms are treated so that they will not be affected by the moist environment. Even though there are numerous styles of roller blinds available they fundamentally carry out the same purpose. This purpose is to control the light entering a room and to create privacy for residents. 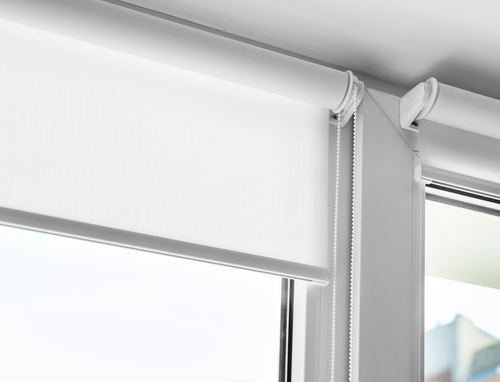 Some varieties are manufactured using heavy materials so that they can completely block the light entering an interior, these types of blind are perfect for those people who work night shifts and even for children's bedrooms where bedtimes do not always coincide with the movements of the sun. The versatility of roller blinds is immense. As they are manufactured in numerous styles, it is possible for them to fit into almost any existing design. 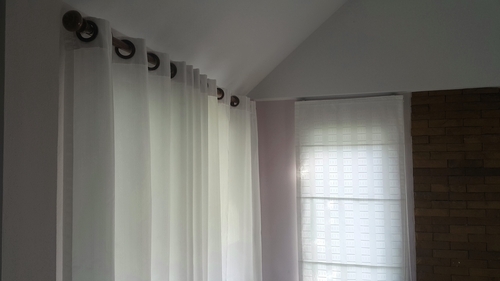 Buyers can pick a blind in practically any color under the sun for it to match soft furnishings or even the walls. Ultimately they are great at accentuating the current interior design, without becoming a focal point in their right. That said not all roller blinds will blend into a room perfectly. Modern manufacturing techniques have meant that it is now possible to have almost any image printed onto a blind. This could be a photograph of a loved one, a favorite car or even a particular landscape that brings back memories of a great holiday. This highly personalized form of interior design allows the homeowner to decorate to their tastes and to individualize their home as much as possible. Roller blinds are not simply available as blocks of fabric, however. Increasingly manufacturers are working on different designs to the bottom of the blinds so that they look attractive when both raised and lowered. Some of these designs include castellated varieties, curvy lines, and even inset ringlets or stencil patterns. Once again personal preference plays an important part in the decision making process. Roller blinds are considered very useful for both office and home use. They have become an essential accessory for the decoration of your chamber and rooms. Now, these window blinds are considered as an important part of the office and home accessories. Nowadays you can find these window blinds in every office. Not only these blinds give a trendy look to your work place, but they are also a very effective solution for controlling of sun heat. However, make sure that you have taken into account some tips to select perfect blinds for your office or home. While you shop for these blinds, have a proper budget that is not too low as some of the features of the blinds may be little costly. Below are the many reasons for purchasing of roller blinds. 1. Roller blinds are not much costly, and they suit best for kitchen and bath rooms. 2. Cost of installing of these window coverings is mostly within your limited budget, though you can explore some luxurious blinds as well if your budget is permitting. 3. One of the reasons of why people prefer these blinds is their easy fixing on the windows. As compared to other blinds, roller blinds do not take much time to install them on most of the windows. You can fix these window blinds easily to your office and home windows. They can be fixed with face and top fix brackets. 4. These blinds are also perfect when it comes to effectively controlling of harsh sun heat and glare that has the potential of damaging the office furniture also. 5. Roller blinds are available in a host of colors and shades that you can choose in keeping with your interior design of office or home. Since these blinds are mainly made of fabrics as the main ingredient, you should choose the fabric very carefully for sun heat control and the décor. It protects the room from unwanted light and heat of the sun and to keep the room temperature cool and relaxed. Besides, these Blinds also give privacy to your work place, when you are busy in a meeting with clients in conference rooms and don't want others to peep in your room, these blinds become very efficient then. These roller blinds are also preferred for their quality of enhancing the décor of homes and offices. Like the window coverings for installing them on kitchen windows. These blinds, unlike the vertical blinds, are also very easy to clean. Make sure that roller blinds are clean from dust throughout the year. You should hire professional blind cleaners who are equipped with the latest technology. To get the office blinds at competitive rates, ensure that you have explored various online blinds sites as well as physical stores of your locality. When revamping a house, one of the major things which people often forget to purchase is proper window treatments. Do you know why they make this mistake? It's because they feel window treatments don't play any vital role. But, that's completely their misconception. It makes sure that your home's interior look ravishing, it helps you maintain privacy and block unwanted light from entering the room. Plus, some of the blinds even help you maintain the temperature of the rooms. So, you can pretty well understand they are quite functional and appealing, and you must purchase it as soon as possible or at least before you shift. But, before purchasing Roller Blinds, there are certain things you have to do. Have no idea about what to do? Don't worry; here's a list of things you need to do prior purchasing blinds. • Choose a good store: Since you are going to purchase blinds Whittlesea for your new home, it is essential for you to choose a reputed home decor store. How to find such a store? It's simple; either take referrals from your close ones or simply browse the internet in search of blind shops in your city/suburb. • Take the measurement: Before you visit a store to purchase casement screens, make sure you measure the windows. It's not difficult to find window blinds according to the window size. However, if your home's windows are exceptional, or don't fall under standard window size, make sure you ask them to customise it. These days, there are plenty of companies that create customise blind, so you can easily find one. • Ask about durability: One of the major things that you need to ask the roller blinds Reservoir seller is that, whether it is durable or not. Asking about the durability is essential so that you don't have to replace them within a month or two. • Check the installation kit: Another essential thing that you must check before buying these kinds of blinds is the entire kit that comes with it. 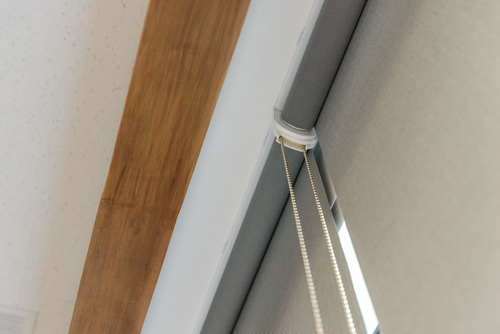 A roller blind's kit usually contains a chain control, a female and male bracket, some springs, screws and a pulley. However, the contents of the kit may vary. So, best go through the items written above the box and check accordingly. This is all you need to do prior purchasing roller blinds. So now, you can easily purchase right blinds for your new apartment.